it really was, and it really is the only way I can sum it up. The start of the year started like every year will from now on since 2014. Not only for my family is it the celebration of a New Year, but it’s the remembrance of someone very special to us that will always remain in our hearts. 1st January 2014 I lost someone very close to me, my Grandpay. It was the worst ever start to a year that would only get harder. When he went, part of me went and though I’ve been told it will get easier, it seems as if it’s only getting harder. Though I’ve came to the realisation that I ain’t going to see him for a while, it’s missing him and the though of the memories that could have been made with him that gets the better of me. So the 1st of January 2015, for me was remembering an amazing, inspirational and special man one year after he left, whilst also welcoming a New Year that I hope would be calmer and more relaxed following 2014. Four months exactly after my Grandpay, I lost my first dog, KayCee, just before she turned 9 months old. Which is crazy to think she was so young as she made such a huge impact on not only my life, but other family members lives too! She helped us all get through the passing of my Grandpay, was always there when I needed a wee hug and was always there to welcome me home after a stressful day at school so the 1st of May will always be a memorable day for me. However, I was determined that after such a turbulent year, I was going to try and make 2015 the best year I could, and boy did I try. L to R: My little Snowdog KayCee. My Grandpay and I. My Nanny, Grandpay and I. This year I graduated from High School, which was emotional though I didn’t really cry - surprisingly. I couldn't believe it was my time to leave school yet I could. I couldn't help but think ’Oh my gosh I’m actually leaving school forever, YESSS!’ and of course…“MUCK UP DAY B*TCHES”! Soon after that, there was Prom! Originally, I didn’t plan on going, but sooo glad I did as not only was it more than I expected, it was the last time the whole year and our teachers were in one room together. L to R:...a lot of awkward smiles. There's my mum and I, me and Charlie Canon (my DSLR) and then my Nanny and I. In July I went down to London with my mum and I’m not sure what was more exciting, traveling 1st class, or visiting the Warner Bros Studio, where Harry Potter was filmed. Joking! Obviously walking down Diagon Alley was insane, running through Platform 9 3/4 to ride the Hogwarts Express was special, along with many of the other things you would (and wouldn't) expect at the Harry Potter Studio tour. We also went to Camden Town Market, No.4 Privet Drive and done some sight seeing. 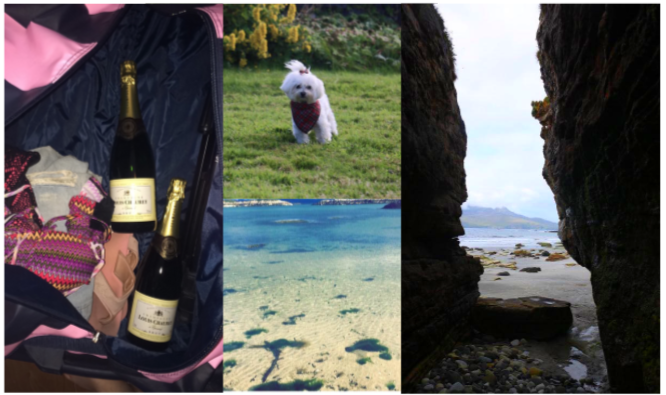 Not long after we returned from London, I was off to the island Eigg with my family to celebrate my 18th Birthday!! Now to get an idea of how soon I was off on my travels again, my suitcase still had items in it from my trip to London two days before I was was leaving for Eigg. This was an amazing holiday with the family, and not to mention how active it was - I don't think I have walked so much in my 18 years of life! Oh, not to forget that I had to run after my dog, Lottie, one morning as she escaped from the garden and went to chase sheep. When I say chase, I think she thought they were her family to be honest so was just off to join them for a wee catch up. She was easy enough to catch as her little legs can only carry her so far, so fast, unlike Caledonia (Caley), my Nanny’s dog. The day after Lottie escaped the garden, literally 2 seconds after being let of the lead, Caley spotted a few sheep and WHOOSH, she was off chasing them around the place and even over a cattle grid (don’t worry the sheep, surprisingly, and Caley were fine!). Overall, it was a really enjoyable experience and relaxing (at parts) holiday but I don't think I'm made for the island life. City girl forever and always. You can read about it more and see photos of the holiday here. August ended, and September was upon us. This was another busy month for me as I started university! With a completed HNC in Media and Communications that I done during my last two years of school, I decided to study Events Management and though I do enjoy it, it can be a stressful, especially near exams. Something that hasn't changed from the school days. On top of just starting my uni course, I had my very first official interview! I was so nervous for it, but once I was taken in, it was really informal and it ended up feeling more like a chat than an interview. I was told right there and then that I got the job and had to come back the following week for training, which was very overwhelming but very exciting for me! 2015 was the year I wanted to get over my fear of heights by doing as many things that would test it to it’s limit (except skydiving!!). This was a fail. I’ve done nothing towards this except maybe tackle The Sgurr whilst on holiday at Eigg in August. However, I would say I have overcome the best part of my fear of needles, something I thought would never happen. I have had a number of blood tests taken in the past 12 months and my gosh(!!) on the first visit I got SO wound up about it and actually had tears rolling down my face. The nurse said “that’s it, it’s over” and I turned back around and seen no needle in my arm. I felt nothing at all and actually laughed when I came out and thought about how much I let the anxiety get the better of me. After that I’ve, had no issues, but they can still freak me out and I can’t help but get slightly anxious and grossed out when I see them, even on TV programs like Casualty so much so I still turn away. 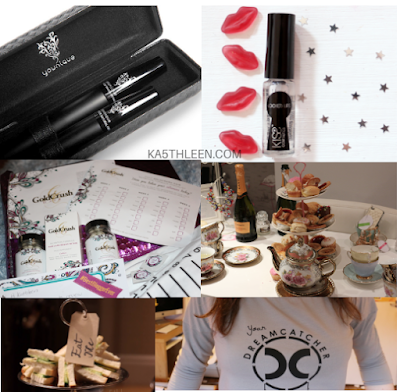 Finally, not to forget 2015 for blogging has been amazing as we saw the 1st Birthday, Blog-iversary, or whatever you like to call it, of Ka5thleen! I have also been working on many new projects and have been working with quite a number of brands in 2015 that will continue into the new year. My readership has grown alongside the blog itself, which goes to show that if you put the work into blogging, it really does pay off. 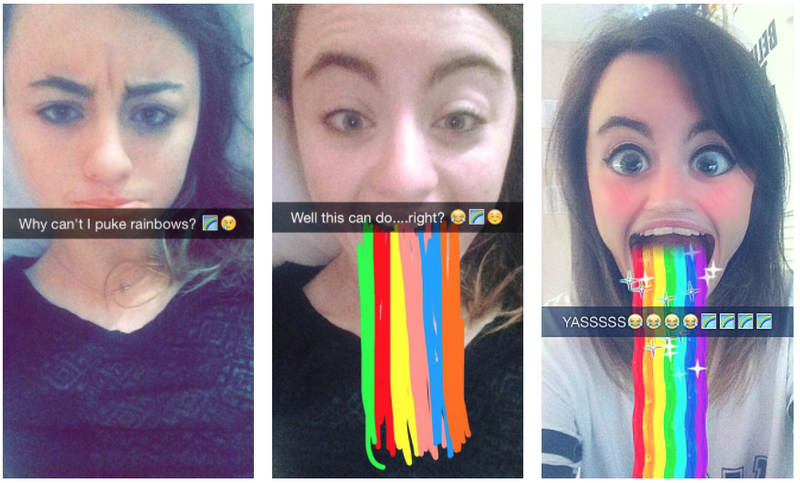 We also can't forget the time Snapchat introduced us to special effects! So there we have it, the best and worst year of my life all rolled into one blog post. Though I dare say I’ve missed parts, these are the most memorable moments of 2015. Thank you all for joining me on this adventure, for leaving me an abundance of comments, messages and emails throughout my entire social networking-dom, and for supporting me. Massive hugs to those of you who have been here since the beginning (which is quite a number of you according to my 2015 Reader Survey, which is not too late to participate in!) and to those of you who may have just started reading recently, and everyone in between. I hope you all had an amazing year and for those of you who didn’t, you learnt from it and 2016 will be a fresh start for you. lovely post! there are always some really low moments in life as well as the ultimate highs.